In this excerpt from Letter 42, “Word and Sacrament, Preaching and Lord’s Supper” (written in 1956), included in the second volume of Letters to Lutheran Pastors, Sasse explores the understanding of Word and Sacrament, beginning with Augustine. Here Sasse demonstrates how Luther moved past Augustine’s use of the word “sign” in response both to Rome and to the Sacramentarians and Enthusiasts. Here is where we find the heart of the Lutheran confession of the sacraments. Certainly Luther made much use, especially in his early period, of Augustine’s idea of sacrament as a “sign.” Here as in other patterns of theological thought he was bound by the theological schooling from which he came. We should not overlook the fact that until 1522 he had to carry on the struggle against Rome for the sola fide also in regard to sacrament according to the old formula: Non sacramentum, sed fides sacramenti justificat (“Not the sacrament, but the faith of the one receiving the sacrament justifies”). To that Luther always clung, with special emphasis at the point where he had to join the “through faith alone” in Baptism with the objectivity of the sacrament. “My faith does not constitute Baptism but receives it.” This is from the Large Catechism, where Luther is defending the Baptism of infants (LC IV 53); it is sure for them too. If the unqualified adherence to the sola fide is one side of the sacramental teaching of Luther and the Lutheran Church, the other is the insistence on the objectivity and reality of the sacrament, which was necessary over against the Enthusiasts. How serious this was for Luther is shown by the fact that he went beyond Thomas in his insistence on objectivity. Thomas stated, “An adult who lacked the intention [intentio] of receiving Baptism should be rebaptized [esset rebaptizandus]” in order to receive Baptism validly and without question. But if the lack of intention is not certain, in case of doubt it should be conditional (Summa theol. 3.68.7.3). Luther regarded the Baptism of a Jew who “should come today deceitfully and with an evil purpose” as a true Baptism (LC IV 54), which under no circumstances is it to be repeated if the sinner should come to faith. This objectivity of the sacrament was settled for the reformer from the very beginning, just as he always held fast to the real presence, even when he finally gave up transubstantiation in The Babylonian Captivity. But the more he had to urge the objectivity of the sacrament against the “Sacramentarians,” the more cautious he became in using the word sign. They were misusing it in a way that made of sacrament only a sign. In the catechism he avoids the word sign, and we need only look at the Heidelberg Catechism to understand what that means. Here the sacraments (Question 66) are understood only as “signs and seals” [Wahrzeichen und Siegel], and no other effect is ascribed to them than of reminding believers of the actual salvation event and assuring them of it. This actual event is independent of the sacrament. Question 72 asks, “Is the outward washing with water itself actually the washing away of sins?” to which the answer is given: “No, for only the blood of Jesus Christ and the Holy Spirit cleanse us from all sin.” The following question, why the Holy Spirit calls Baptism the washing of regeneration and the washing away of sins, is given the answer that He wants to teach us “that just as the filthiness of the body is taken away, so are our sins taken away by the blood and Spirit of Christ” and “that He wants to assure us through this divine pledge and sign [Pfand und Wahrzeichen] that we just as truly have been washed of our sins spiritually as we are washed with physical water.” In the Lord’s Supper bread and cup are “signs [Wahrzeichen] of the body and blood of Christ” (Q. 75). Only “according to the nature and usage of sacraments” is the bread called the body of Christ (Q. 78). The bread is not the body, and so the body and blood of the Lord are not taken orally (Q. 76 and 77). Under the pressure of such spiritualizing Luther more and more stepped back from the conventional word sign and also pledge [pignus], which was much beloved in the theology of the Middle Ages and had meant much to him in his early years. He was profoundly aware that sacrament has another side, the “external thing,” which the Enthusiasts scorned (LC IV 7), the “gross, external mask,” that is, outward form [Erscheinungsform] (LC IV 19). However, as it is of the nature of divine revelation that God comes to us veiled, as the incarnate one (“In our poor flesh and blood, enclothes himself the eternal Good”), so is it of the nature of divine action “that God will not deal with us except through His external Word and sacrament” (SA III VIII 10). In this recognition of the indissoluble unity of “sign” and “object” [Zeichen und Sache] the danger of spiritualizing is overcome—the danger that lay in what Augustine taught and that since Berengar and Wycliffe captured so many Catholics of the late Middle Ages and since Zwingli and Bucer a large part of the Reformation movement. In this sense what Luther taught on sacraments is the great overthrow of Augustinianism in the church and the return to the essence [est] of the New Testament. This excerpt has been amended from Norman Nagel, trans., “Word and Sacrament, Preaching and Lord’s Supper,” pages 457–59 in Letters to Lutheran Pastors, Volume 2, ed. Matthew Harrison. © 2014 Concordia Publishing House. All rights reserved. 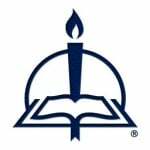 To order Letters to Lutheran Pastors, Volume 2, please contact CPH at 800-325-3040 or visit www.cph.org. Concordia Publishing House has also published Letters to Lutheran Pastors, Volume 1 and Letters to Lutheran Pastors, Volume 3.